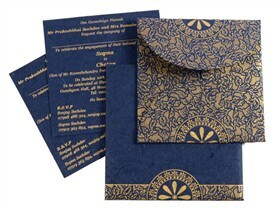 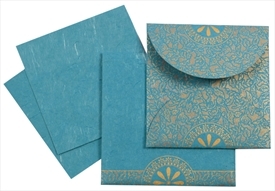 D-3627, Blue Color, Shimmery Finish Paper, Handmade Paper, Light Weight Cards, Designer Multifaith Invitations. 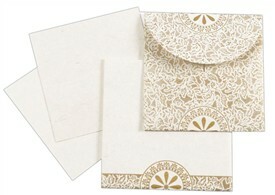 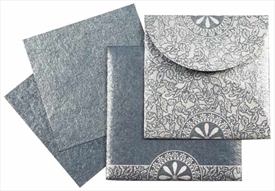 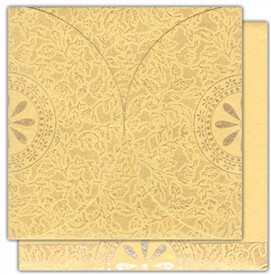 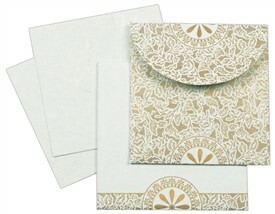 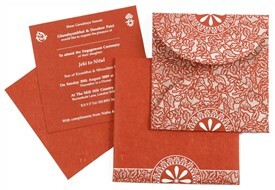 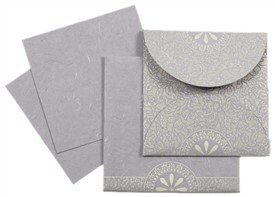 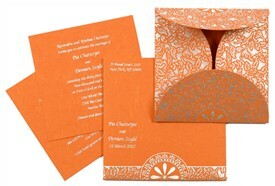 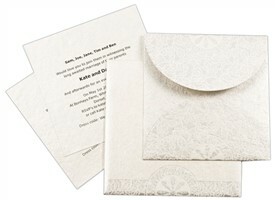 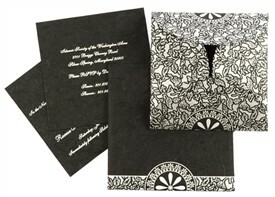 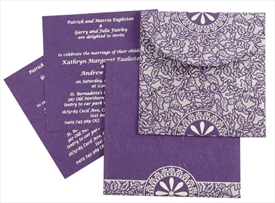 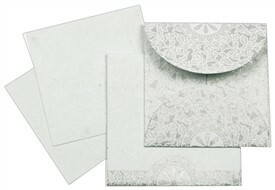 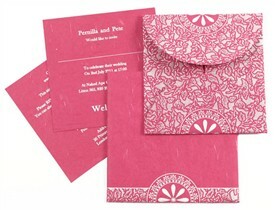 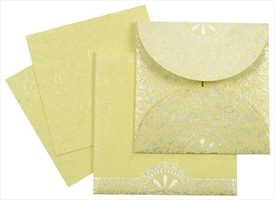 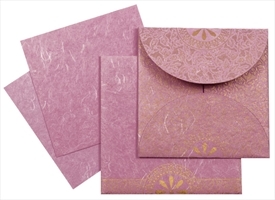 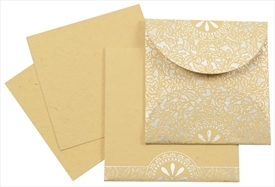 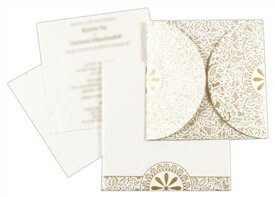 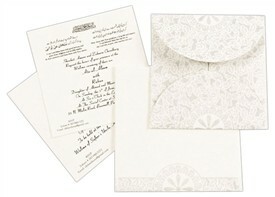 This handkerchief style opening card has intricate design printed in Silver on the flaps. 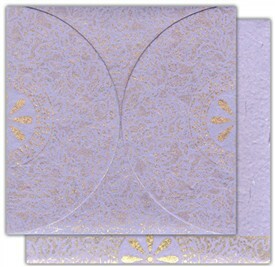 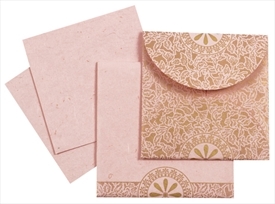 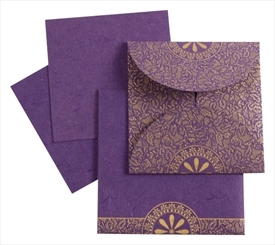 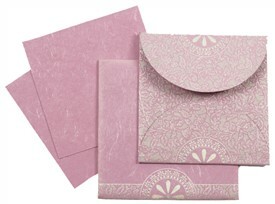 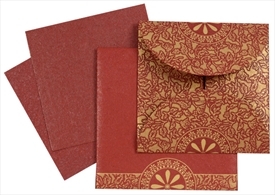 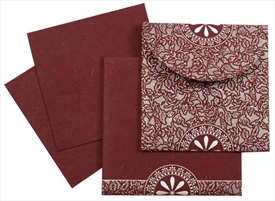 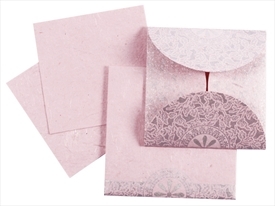 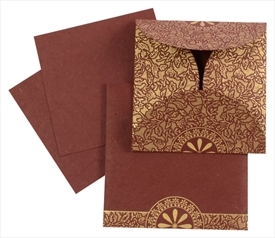 Inserts are plain while the envelope has border matching to card at the bottom. 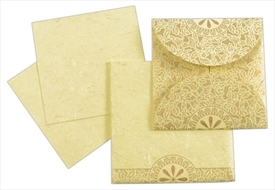 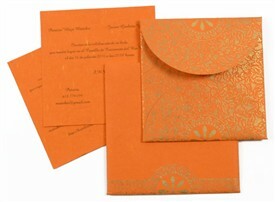 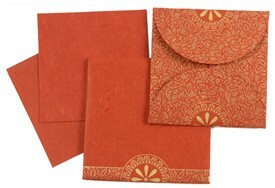 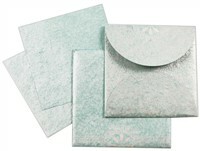 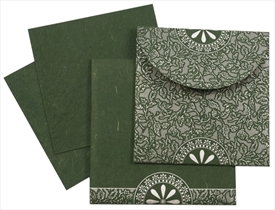 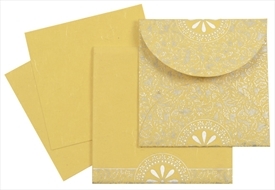 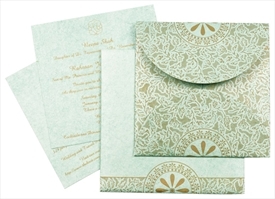 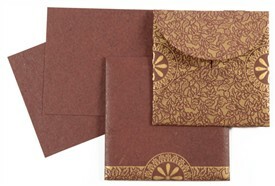 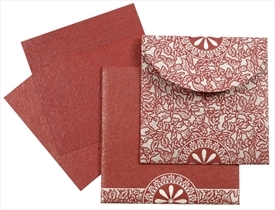 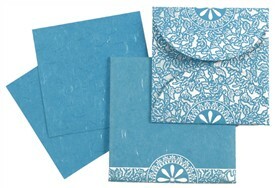 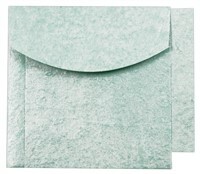 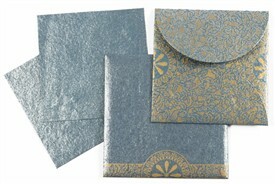 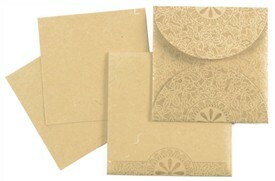 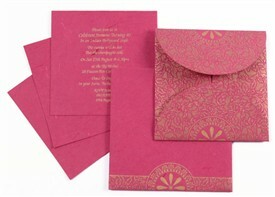 Turquoise color shimmery finish handmade paper for handkerchief style card, 2 inserts and mailing Envelope. 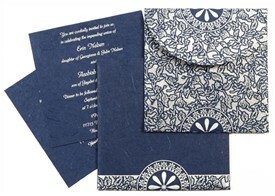 Silk Screen printing in Dark blue or Cyan color.